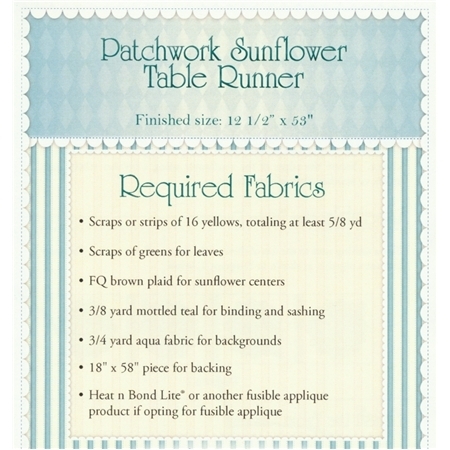 Add some cheer to your summer table with these lovely sunflowers! Designed by Jennifer Bosworth of Shabby Fabrics, this design features patchwork - a great way to use up scraps! - and applique. 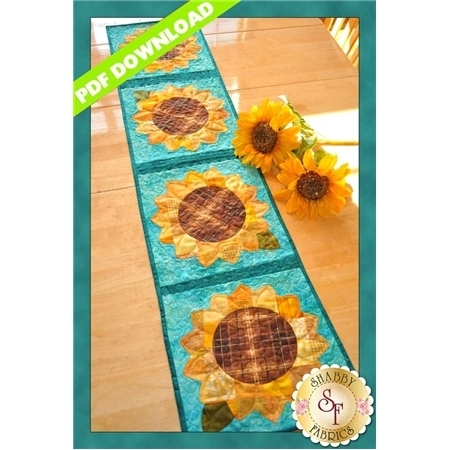 Pattern includes all instructions for the 12 1/2" x 53" runner.